Still need a gift for your best friend? Nordstrom has some great gifts that are affordable enough to give to friends and yet still great enough to get that reaction you want everytime you give a gift! I’m a little partial to Kate Spade and I love both of these crossbodies above, one is made to hold iPads which is great for a college student or a working professional who brings their iPad to meetings. The Tory Burch make up case is also a gem because it’s simple, useful, and Tory Burch! These gifts are all an easy way to put a smile on your friend’s face. 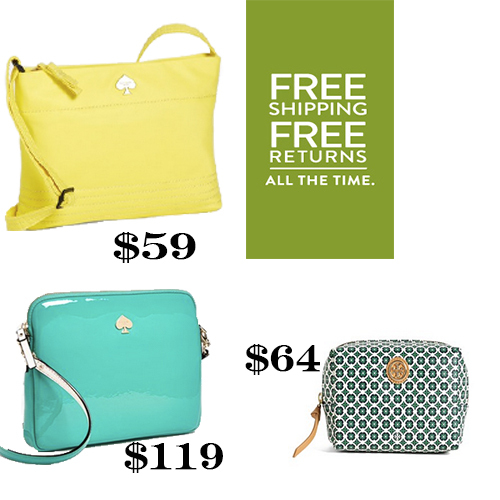 And now that Nordstroms offer free shipping and returns there is no reason not to say yes to these goodies!